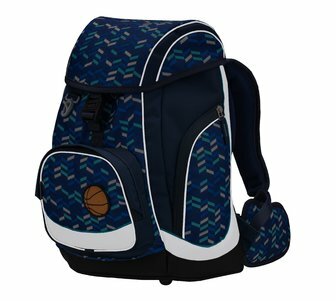 Comfy Pack is designed for children seeking sporty backpack, so they are made with a combination of exciting colors and patterns. 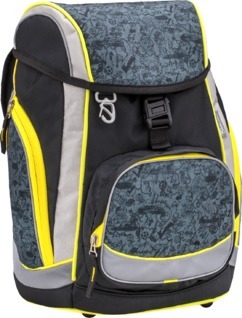 Thanks to its sporty look, it is great for school and travel alike. 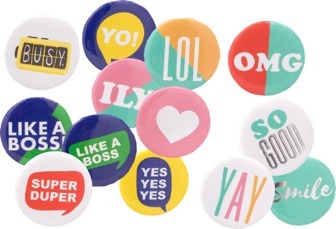 With magnetic patches, Comfy Pack can be easily customized reflecting the user's current mood. 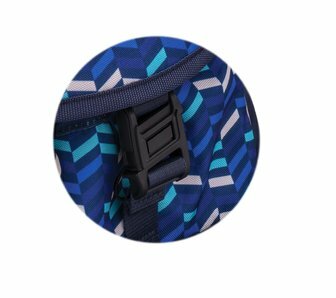 The ergonomic back panel is designed with an adjustable height mechanism, allowing the bag to grow along with its wearer. Watch our product video to learn more about its smart features! “Comfy Pack” is made of high quality, strong and waterproof materials and weighs 1100 g.
Each bag comes along with a 3 pcs of set, but further sets can be purchased. 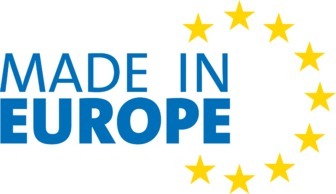 Contact your local vendor and ask for available selection! 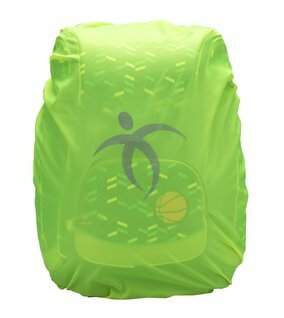 Its “Customize me” feature allows the user to adjust the bag to specific height settings (S-M-L-XL) for perfect fit and comfort, thus optimizing load distribution. 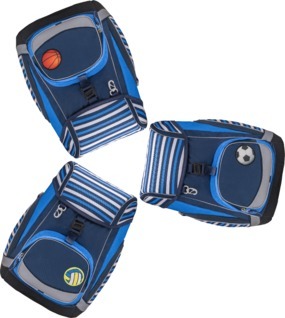 Ergonomic shape and breathable back padding make sure that the pressure on children’s back is minimized. 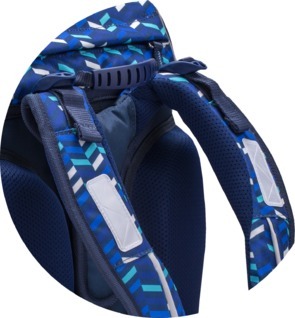 The S-shaped, adjustable shoulder straps are designed with Memory foam which ensuresminimized burden on shoulders while giving a natural and comfortablefeeling. The back panel is designed with an adjustable height mechanism with four settings: S-M-L-XL, allowing the bag to grow along with its wearer! A chest belt and an easily removable hip belt are added for load stabilization. 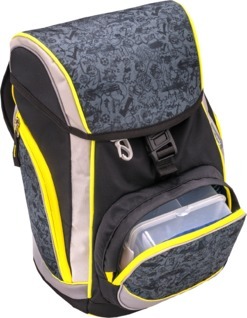 The spacious inner compartments offer easy organization of books, notebooks and school utensils. 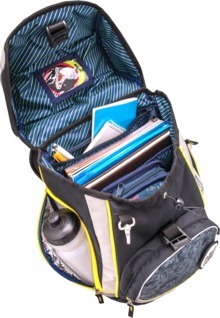 It features an inner zipper pocket for storing smaller items, such as keys, notebooks, or calculator and all other things that need a secure place. The top lid inside accommodates a small name card holder as well. The content can be fixed with drawstring. 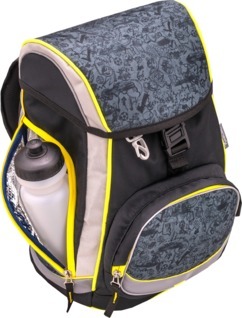 One side pocket is designed for keeping drinks (up to 0.7 L) cold or warm thanks to the thermo lining. The other one is ideal for storing umbrella or pencil pouch. The bag is designed with a separate lunch box holder which keeps chances low that there will be leakage on books and notebooks. There is an extra pocket on top lid designed to store rain cover which can be fixed with a buckle, so that it will be at hand whenever is needed. Raincover is an optional accessory, so if it is not included it still serves a useful purpose: the pocket can be used for storing smaller items, such as bus passes, keys and all other things that need immediate access. 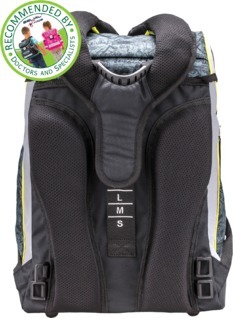 With Belmil school bag safety is guaranteed even if it gets too dark: carefully placed reflective elements on all sides ensure high visibility at night. The rain cover is made of fluorescent fabric, enhancing visibility in rainy weather. “Comfy Pack” is made of high quality, strong and waterproof materials. Reinforcements on all sides and strong, waterproof materials enhance durability. 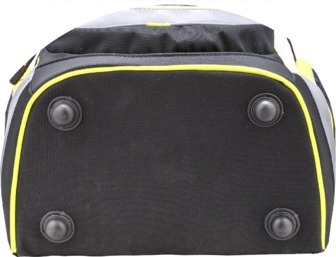 The bottom is equipped with four plastic buttons keeping the bag stable and dry in rainy weather.